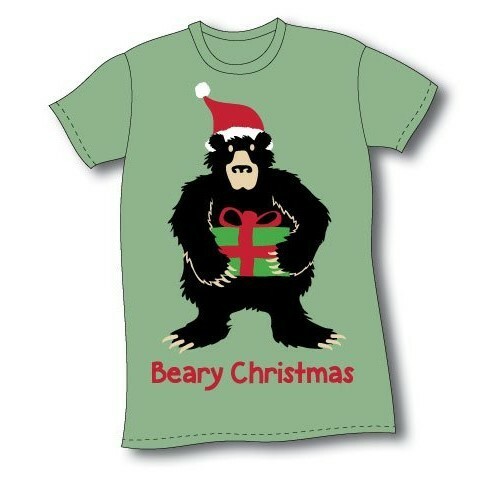 Beary Christmas Night Shirt features a screen printed moose design and is made to fit most women with just one size. Beary Christmas Night Shirt features a screen printed moose design and is made to fit most women with just one size. The length is 40" x 23" wide. Made of 100% Combed Cotton knit.